The whole of the site civic space, aka Ponsonby Park, is the Waitematā Local Board’s “One Local Initiative” and received strong support from 60% of local residents, in their responses to the 10-year Plan. Option 1: Develop a 2000m2 civic space on the front portion of the site and dispose of 326m2 at the rear to offset the initial acquisition cost. Option 3: Develop the whole site (2326m2) as a civic space with no associated disposal. 4. Due to the success of previous consultations, there is a high community expectation that the whole site will be developed. The Waitematā Local Board has proposed the development of the civic space in two phases. Phase 1 $5.5M – Delivers the essential elements of the civic space, including landscaping, repurposing the existing structure, and toilet facilities (Long-term Plan funding). Phase 2 $5.5M – Repurpose existing building and improve streetscape (Partially funded through service optimization). There is “One Local Initiative” funding already available for phase one of the project. It has been noted that Waitematā is one of the fastest-growing areas in Auckland. The population has increased by 6.7 percent since 2006 with further population and employment growth having the potential to impact on the use and enjoyment of the open space network. • Strategic alignment – to the provision targets and network principles in the Open Space Provision Policy and the Auckland Plan focus areas. • Amenity values and functionality – the range of recreational opportunities that can be provided, including for some regional events. • Maximizing place-making and supporting community empowerment – this acknowledges the investment of the community and the quality of the process used to arrive at a preferred design. • Value for money – includes financial returns in the form of the commercial rent generated since 2006 and sale proceeds. Having applied these criteria, Council Staff has recommended Option 3 to the Waitematā Local Board. They noted that this the easiest option to implement as the civic space could be developed in the short-term in line with community expectations. The other options would cause significant delays. Parkland purchases need to be developed as soon as practicable and this site has been undeveloped for 12 years. 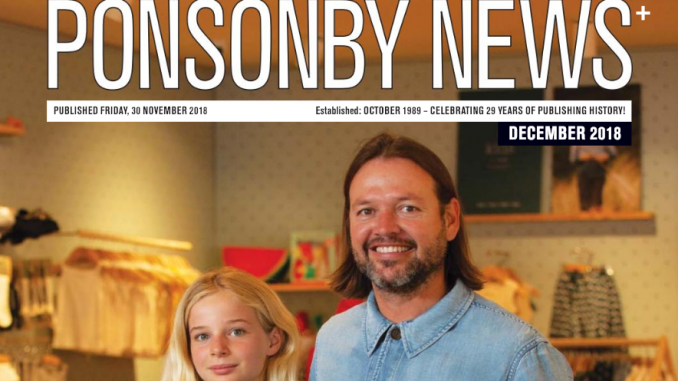 Development of the civic space will enhance amenity and recreational opportunities in Ponsonby and the community has anticipated the achievement of this outcome since 2006. The community-led design process has resulted in a high sense of local ownership of the proposed civic space design, with the Community’s aspirations aligning strongly with both the council’s public amenity values and the Auckland Plan. With the approval of Option 3 by the Waitematā Local Board, Council will not recoup some of the costs of acquiring 254 Ponsonby Road. However, this low financial risk is sufficiently offset by 12-years of commercial rent already generated on the property since its purchase in 2006. The Waitematā Local Board Strongly supports Option 3 to the Environment and Community Committee, being the retention of the whole site located at 254 Ponsonby Road (2326m2), Ponsonby, currently held by Auckland Council in fee simple under the Local Government Act 2002, for the purpose of developing a civic space. The Waitematā Local Board will submit the Officer’s report with any additional comments to the Environment and Community Committee that meets on December 4th, 2018. It is at this meeting that the decision on whether to retain or sell some of the land will be decided. We are delighted with the support and progress to date towards achieving the whole of the site civic space (aka Ponsonby Park). We now look forward to the support of the Environment and Community Committee to enable this much needed and desired community asset, for not only Ponsonby/Freemans Bay/St Mary’s Bay and Herne Bay but, as noted in the Officers report, for the wider regional community’s too. Once approved by the Environment and Community Committee it will go to the Finance & Performance Meeting on December 11th for final funding allocation. The whole of the site civic space at 254 Ponsonby Road – BRING IT ON!